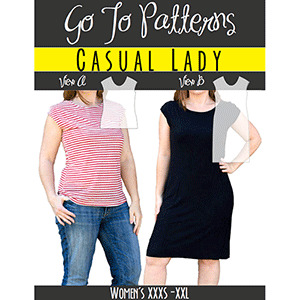 The Casual Lady is the perfect comfortable, easy wear, top or dress sewing pattern. With simple construction methods you’ll be making these quickly to fill up your closet. Choose your favorite knit fabric and get started today! The Casual Lady sewing pattern is professionally designed and includes easy instructions and graphics to help you through the process. This pattern is available in sizes XXXS to XXL. 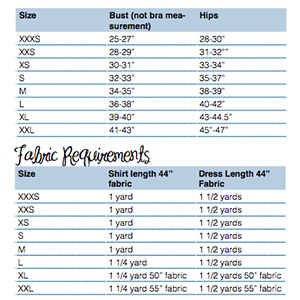 Recommended fabrics are knits with at least 25% stretch such as cotton lycra or cotton jersey.